The internet search giant announced the official Google Translate for iPhone app now available for download globally from the App Store. 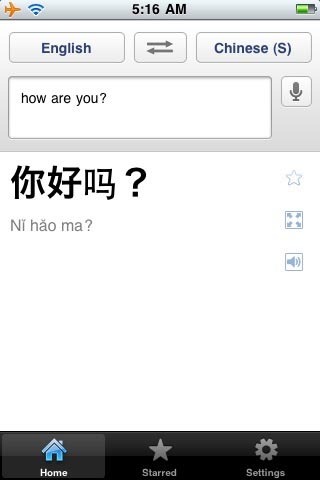 Back in August 2008 Google had launched a Google Translate HTML5 web app for iPhone users. The new app accepts voice input for 15 languages. 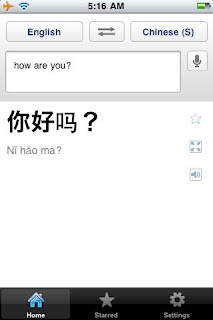 Users can translate a word or phrase into one of more than 50 languages. 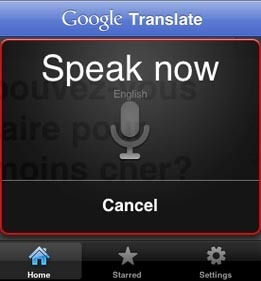 press the microphone icon next to the text box and say the word you want to translate. "You can also listen to your translations spoken out loud in one of 23 different languages. This feature uses the same new speech synthesizer voices as the desktop version of Google Translate we introduced last month,"
Just by tapping on the zoom icon to quickly zoom in, easily enlarge the translated text to full-screen size. Easier to read the text on the screen, and share with others. The app is available in all iOS supported languages; need an iPhone or iPod touch iOS version 3 or later.